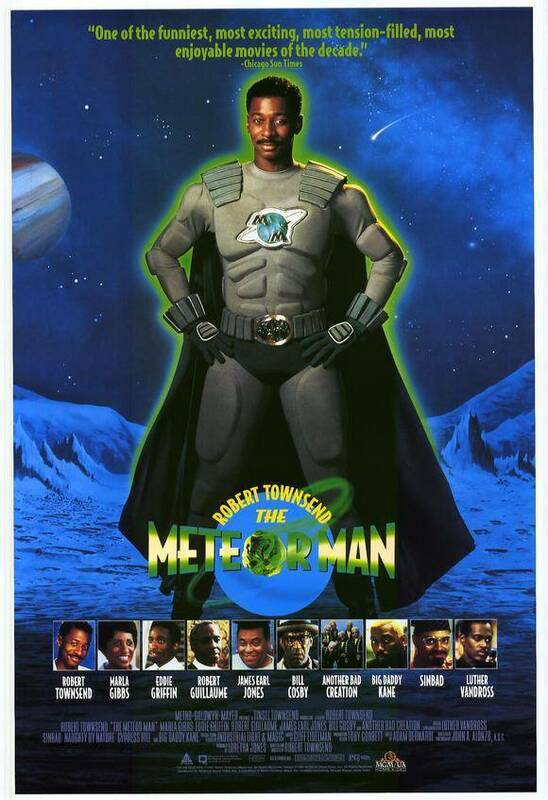 Meteor Man is a character created and played by Robert Townsend in the 1993 superhero comedy film “The Meteor Man“. The character has the not so secret identity of mild mannered Jefferson Reed, named after one of Townsend’s real life teachers. In the movie he was hit by a meteor fragment and later granted a variety of abilities not unlike Superman with the addition of telekinesis, telepathy with animals, imbuing fertility and the ability to absorb a book’s knowledge by touch. In the follow-up comic he appears to have the additional ability of weather manipulation as well. His main weakness appears to be that he has to touch the meteor fragment periodically in order to “recharge” his abilities. The movie took place in an African-American community and starred many well-known African-American actors. 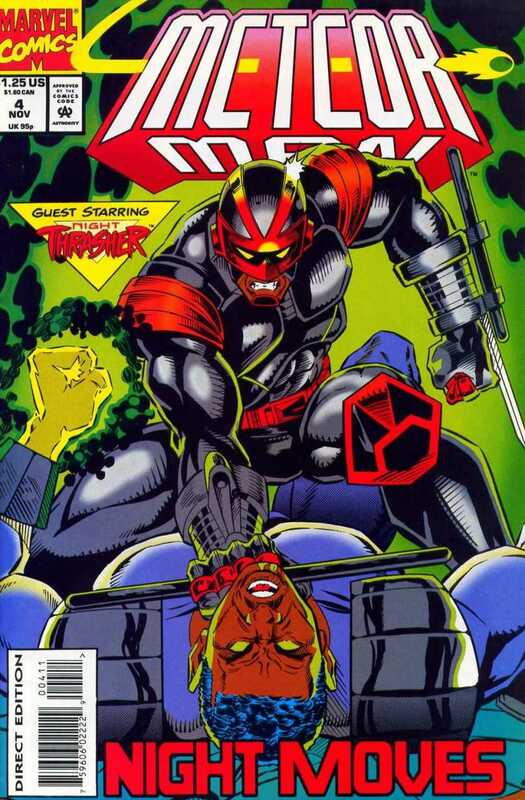 Marvel produced a spin-off comic limited series that had the title character meet Spider-Man and Night Thrasher. The mini-series went for 6 issues. Sadly there was no official action figure created. Keep in mind that there are other characters with the same name that appear in comics and television. I’ve always wondered what this movie would be like if they lessened the comedic aspect and approached it more serious, Blankman too. 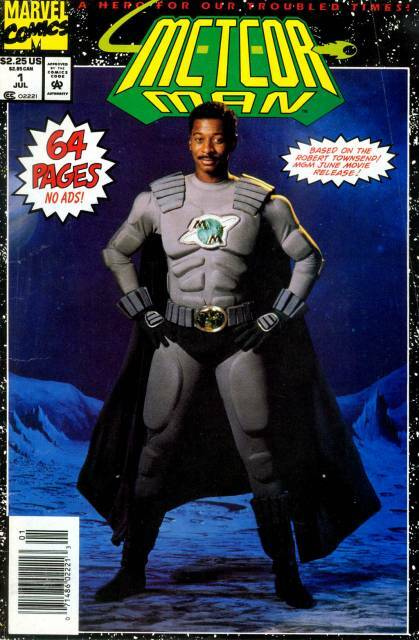 I wish they would’ve made a Meteor Man action figure. 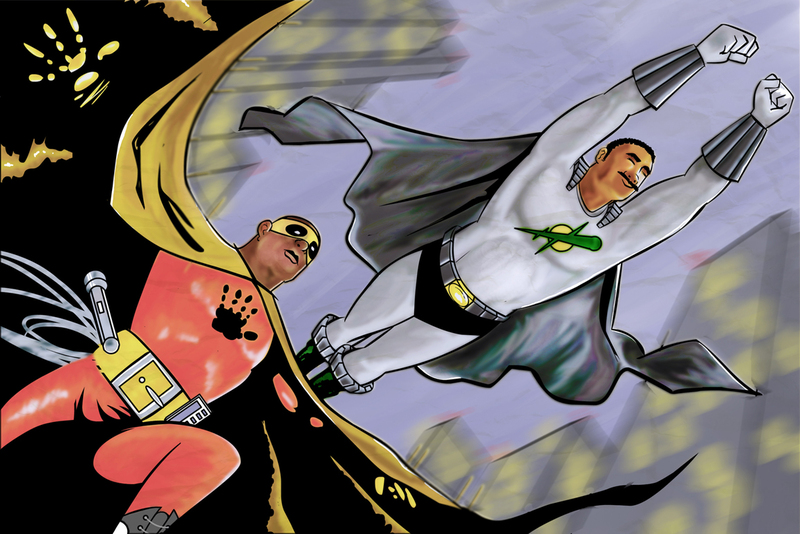 I’d have liked to see them both together, not unlike a World’s Finest team-up.